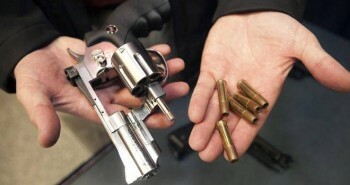 Previous postWhat Should You Do If You Find A Gun In A Storage Unit? 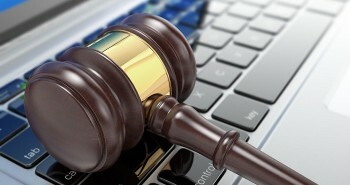 Next postAre Online Storage Auctions Legal? Why must you have a tax exemption to bid? 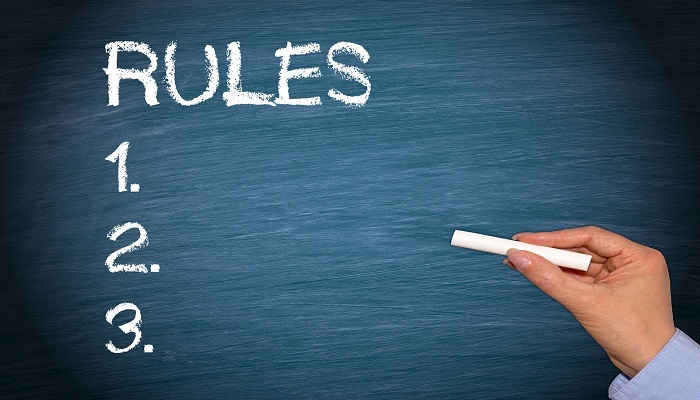 Sales tax use permits are not required but, if you plan on reselling the merchandise, having one will allow you to avoid paying sales tax when you purchase the unit. You will still need to collect or pay sales tax on everything you sell. If winning a bid, why would you have to pay a security deposit? And is it refundable? Storage facilities usually require a security deposit in order to prevent storage auction buyers from taking what they want and leaving the trash behind. The storage facility is in the rental business and their main goal is to free up the space so they can rent it again. Some inexperienced buyers still choose to forfeit the security deposit and leave the trash behind. In cases like this, the storage facility will use the security deposit to pay someone to remove anything remaining in the unit and ban the buyer from attending future auctions. Can people that work at the storage place place bids? Most storage facility employees don’t bid on units at their auction; however, they can legally. I have actually been to a few auctions where the facility owner bid on his own units. You can’t compete in a situation like that. I have a friend that had a unit she owned auctioned off because she lost her job and couldn’t pay the rental. Is there anyway she or I can find out who won her unit? She had many sentimental family items, such as pictures and the like. She would like to see if it would be possible to get those back or if they went to a thrift store, buy them back? Randy, yes there is a way, but there are no guarantees. In most cases, photos, important documents and items that are obviously sentimental are left with the facility manager; however, if the buyer was in a hurry, they may not have had time to sort through things at the storage facility. Contact the facility manager and ask if anything has been turned in by the buyer. If not, explain the situation and ask the facility manager to contact the buyer to see if they would be interested in selling the family items back to her. Most storage auction buyers are decent people and would be willing to work something out. Sara, the facility can auction off any type of personal property left behind in a storage unit. A medical bed would be considered personal property. I purchased a storage back in March. Today I received a call from the tenant that own the unit saying they are in legal suit with the storage facility and wanted to ask me some questions. I contacted the storage facility asking whats going on and why they gave out my phone. One person there said the tenant was going through a divorce and the owner said the tenant was going through bankruptcy. What are my legal rights if I get dragged into a legal battle. Mike, under Texas lien law (Chapter 59, Texas Property Code), the purchaser cannot be held responsible for the storage facility’s mistakes. You’re in the clear. Were they allowed to give out my information? Most storage facilities do not provide the tenant with the buyer’s contact information; however, I’m not aware of a law that prevents them from doing so. Please someone help me! I just lost ALL of my PERSONAL ITEMS in storage in Houston, TX – irreplacable Family Photos, Boxes of Birthday Cards from my DAD who has Lung Cancer. These items are of NO value to the new owner of my storage unit AND he REFUSES to give them back. Is there anything that I can do? Please help! It’s at the buyer’s discretion whether they want to return these items to you. Your best bet is to contact the storage facility manager and ask him or her to contact the buyer and request the return of your personal items. Unfortunately, if the buyer is unwilling to, there isn’t anything that can be done. Hello. I purchased the contents of a storage unit at a legal auction several years ago. The storage manager gave my name and address to the former owners, who have sued me. The former owners acknowledge that they did not pay their storage bills, and the facility acknowledges that they should not have given out my name. I thought that purchasers had full legal title and ownership rights for good purchased at a storage auction. Is this incorrect? You should be able to get this case thrown out. Under Sec. 59.007 of the Texas Property Code, a good faith purchaser of property sold to satisfy a lien under this chapter takes the property free of a claim by a person against whom the lien was valid, regardless of whether the lessor has complied with this chapter. In layman’s terms, you won’t be held responsible for a storage facility’s mistake. Hope you can breathe a little easier now. Do the storage facilities go through the units before the auction ? Once the storage facility has made several unsuccessful attempts to contact the tenant for payment, they will cut the lock and usually inventory the contents of the storage unit based on what they can see from the door. When storage facilities post their notice of auction, they generally provide a brief description of the unit’s contents. This is a requirement in Texas under Chapter 59 of the Texas Property Code, and other states have similar laws. Most of the time, the facility owners/managers will take a brief glance inside and write a vague description like “furniture and appliances” based on what they can see from the door. Very rarely do they ever move things or open boxes. On the other hand, some facilities will set up or “stage” units to make them more enticing for buyers. They may rearrange the contents to show off some of the pricier items inside or move items to clear or obstruct the view. Should you be worried about this? Not really. First of all, most of your larger chain facilities have district managers who inventory the contents of each unit. Some auctioneers even inventory the contents of the unit for the storage facility as well. This means that there’s a lot of eyes that might oversee a unit, so if items go missing, someone will likely notice. Staging units or removing items also takes a lot of time, and most facility managers are too busy to bother. When you’re dealing with a big chain storage facility, the owners are often quite wealthy and have no motive to waste that much time for a small amount of money. Second, storage facilities have more security cameras than a Vegas casino. Fear of losing their job or being prosecuted play an important factor in keeping most workers honest. I think the number one reason most workers don’t tamper with units or remove items is that they don’t know if the delinquent tenant will come in right before the auction and get current on their payments. The tenant has until the moment bidding starts to pay off the lien. If the worker had removed some items from the unit, and the tenant notices, they could get in a lot of trouble. For storage facilities, the risk just isn’t worth the reward. The storage facility managers and owners I’ve dealt with are very honest and respectable people. I’m sure there are a few bad apples, as there is in any business, but these cases are quite rare. For the most part, storage facilities are much more interested in selling the units they have at a reasonable price so they can get them cleaned and rented out quickly. I found an acetylene tank in a unit I got at auction. I was going to sell it but found out it had belonged to a rental agency. Am I required to return this to the rental agency or is it legally mine now? Here in Texas, I’ve seen several facilities move the contents out to give bidders a better view of what they’re buying. It’s an unusual procedure that requires a lot of work, so you don’t see it often, but it does happen. I’m not aware of anything in Texas lien law that would prevent them from doing so. I haven’t read Florida lien law, so I can’t say for sure one way or another; however, many state lien laws are similar to one another. Do you need a auctioner when selling the storage units. Live in Texas. Storage facilities can avoid legal problems and see an increase in lien sale turnouts by hiring a licensed auctioneer. Although using an auctioneer is recommended, it isn’t required in the state of Texas. Hello, is there any law that would impede a family member or friend of the previous tenant from bidding and buying their unit at auction? Can a facility turn you down for it? No, that’s perfectly legal. As a matter of fact, there’s no law preventing the tenant from attending the “Public Sale.” The unit is legally his/hers until the auctioneer says “sold,” so if you strategy is to try to buy it back for less than what he/she owes, it’s possible. However, if the bidding exceeds the amount owed, the tenant can legally stop the sale before it’s sold and pay the delinquent rent and fees. can I legally be barred from attending auction at a public storage facility on my unit and what am I forbidden under Texas law to bid on it? No, it’s a public sale. You can legally attend and bid on your unit. You can even pay off the balance owed up until the auctioneer says sold. Thanks for explaining the rules that are common to most storage unit auctions and for mentioning how they can vary by state, facility, and auctioneer. Since this is the case, it would probably be a good idea to contact the company in charge beforehand in order to make sure you understand the rules. You could also look online to learn about the different public storage unit auctions as well as the company in charge so that you can make sure they’re reliable and so you know what to expect.